Hair fall is a condition that people deal with every single day. But, leave aside a few strands of hair, if you start noticing hair falling off in bunches, it is no ordinary hair loss. Such a condition is medically termed as alopecia areata and could lead to a dreadful experience in your life. Since it is an autoimmune disease, medical attention is needed to cure the patient’s condition. Read further to know the different types of hair loss and details about alopecia areata, its diagnoses, and treatment. The disorder occurs due to natural thinning of hair with age. More hair follicles go into the resting phase, and the remaining hair growth reduces. Another type of hair loss, which is formed due to a genetic condition. It affects both men and women resulting in male and female pattern baldness. It is characterized by a receding hairline with the disappearance of hair from the crown and frontal scalp. In this condition, hair falls off even from the eyebrows, eyelashes, and the pubic region of the body. Temporary hair thinning over the scalp occurs due to changes in the hair cycle. It results in hair shedding and subsequent hair thinning that is detected after conducting a hair loss diagnosis. Inflammatory skin diseases often result in scars that destroy the ability to regenerate hair growth. Essential hair loss solutions are required to treat this disorder. Alopecia areata is an autoimmune disease in which the immunity of the body attacks the hair follicles. The person’s hair falls out in clumps leading to patches of baldness. Every case is unique. If someone loses all the hair on the scalp, there is still chances of complete regrowth. The condition is prevalent in those who suffer from diabetes, lupus, and thyroid. Apart from drugs, the hair loss treatment for alopecia areata comprises of cosmetics and protective techniques. While the ailment is not serious, it can impact people psychologically. Always ensure that you wear wigs, hats, or scarves to protect your head from harmful elements such as the Ultra-Violet rays of the sun. You need to reduce mental stress for the prevention of hair fall. Support groups and gatherings are available to help those suffering from alopecia areata to deal with the psychological effects. There are multiple treatment options for alopecia areata. Some people resort to anti-inflammatory drugs that can be given as an injection into the scalp or as a pill. The type of therapy may be used if the hair loss recurs or spreads. Another promising treatment is the PRP treatment for hair that involves taking patient’s own blood, processing it so that only the enriched platelet rich plasma cells remain. These platelet rich plasma blood cells are then injected back into the scalp to stimulate natural hair growth. The hair that grows back is all natural, thicker and healthy. If you are still wondering how to reduce hair loss without the sign of any side-effects, the homeopathy is the best remedy. The duration of the procedure varies from one patient to another. Though the effectiveness of the treatment is gradual, it is long-lasting. The medicines promote hair regrowth and work as a potent immunotherapy medicine. Bid goodbye to your hair fall worries. 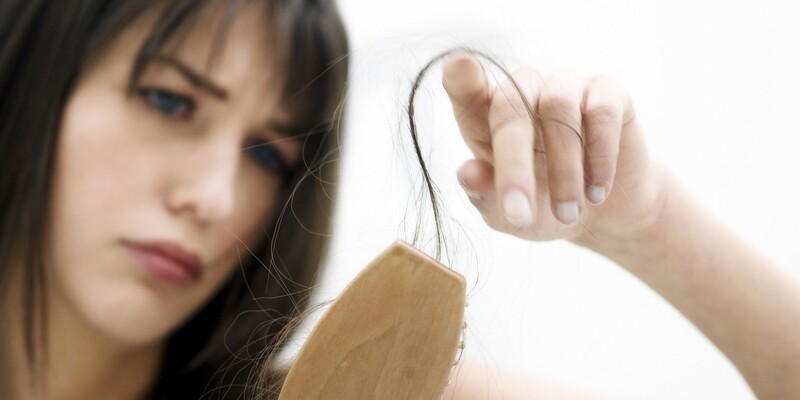 If you are experiencing symptoms of hair loss, do not hesitate to discuss them with your doctor. Experience the power of homeopathy in healing alopecia areata. Wow, such a great post, not joking – it is important to know about hair loss! I don’t have any severe hair loss, just normal, but a friend of mine is on the brink of tears, so sad and kind of depressed. Her hair is falling rapidly and she doesn’t know what to do. I will forward your post to her, so that she can read more about it! Really great, thanks for sharing! Such a great post, I knew nothing about woman’s hair loss! Thanks this information was so helpful. Such an informative post..I also am suffering from hair fall problem.I visited the doc recently and am on medication . Very informative post! I lose hair, but that’s just because it’s long and thick, so thankfully I don’t need to do anything about it. This is really good to know! Thanks for sharing! Thanks for sharing it. The types of hair loss discussed above are fair enough to know about different types of alopecia or hair loss. Nowadays, the hair loss has become a big problem for youngsters.